Thank you for your enquiry. We hope the following answers your questions. 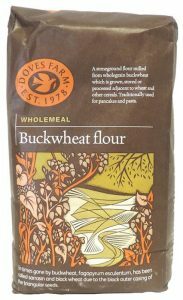 Doves Farm Foods manufacture and pack two different pack formats of buckwheat flour. One of these ( link here ) is intended for consumers on a gluten free diet and this is clearly labelled as such. This is stored and packed in our gluten free factory following all practices of segregation and full testing is carried out as one of our requirements. We have been producing gluten free products for many years and are specialists in this area. The other buckwheat product we produce is wholemeal buckwheat flour packed in a 1kg bag. 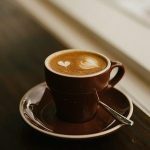 Although buckwheat is naturally gluten free, the buckwheat we use for this product is grown, stored or processed adjacent to wheat and other cereals and is not therefore sold as a gluten free product. It is clearly stated on the front of pack that this product is produced in this manner and there is a warning on the back of the pack that it does contain gluten. However, according to the Food Information to Consumers regulations, as consumers have correctly pointed out, it is not one of the declared allergens and therefore should not be listed as ‘contains gluten’ because the gluten is not one of the ingredients. Whilst it is not illegal it may be perceived as being misleading to consumers and therefore Doves Farm Foods will be addressing this issue immediately to avoid this confusion in future. We would like to thank you for raising this issue and assure you that Doves Farm are specialists in gluten free and will ensure in future that all of our consumers understand that this product is not within our gluten free range. We will also address this on our digital channels so that other consumers are aware of these facts. Please do not hesitate to contact us if there is anything else you would like clarified on this matter. This must be a good result for everyone!